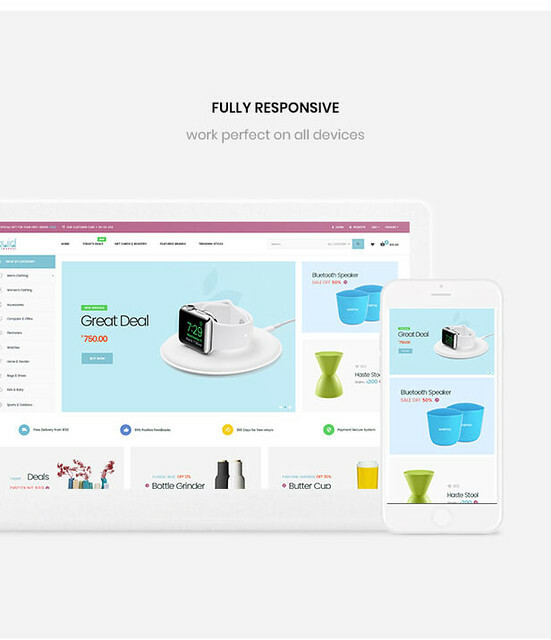 Leo Liquid responsive Prestashop theme is clean, modern, user-friendly, SEO optimized , just like a giant supermarket, allows you to sell any products from Gadgets and Digital, Hi-tech, Health and Beauty, Material and Tools, Fashion and Accessories, or Furniture. Therefore, no matter what products you sell, Leo Liquid is the one that perfectly matches your business. 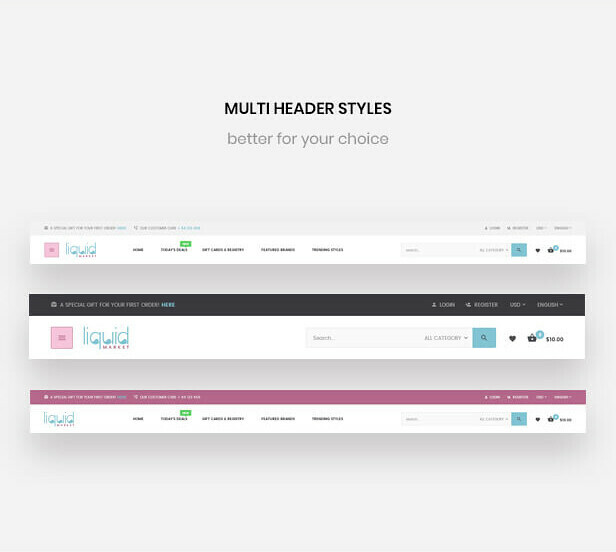 Leo Liquid comes with 5 different homepages to give your more choice for your online store’s appearance. However, in general, all of the 5 homepages own impressive interfaces with great color combination, neat and well-organized layout, vivid and eye-catchy images integrated with flexible effect to give you a smooth sense to browse the whole pages. 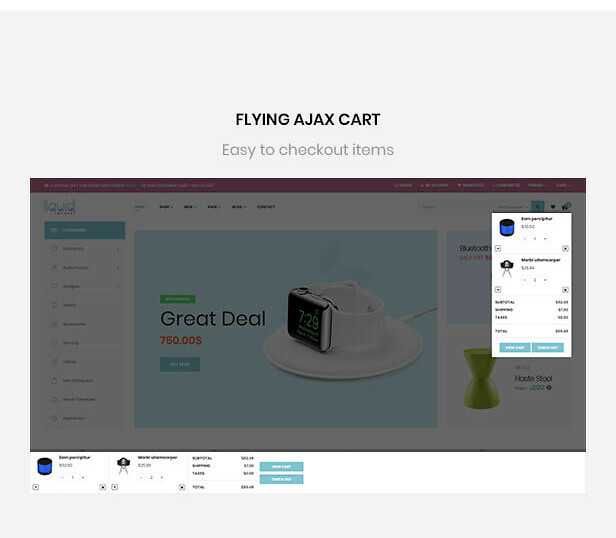 Built on the best Prestashop Framework, Leo Liquid responsive theme features fully functionalities of an eCommerce website to bring the greatest experience for you and your clients. 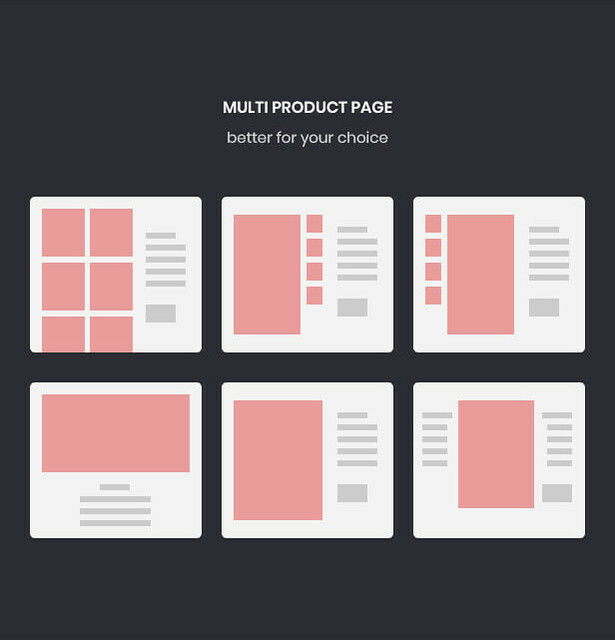 Thanks to powerful Ap Pagebuilder module, it is possible for you to create as many profiles as you want with multi header and footer. 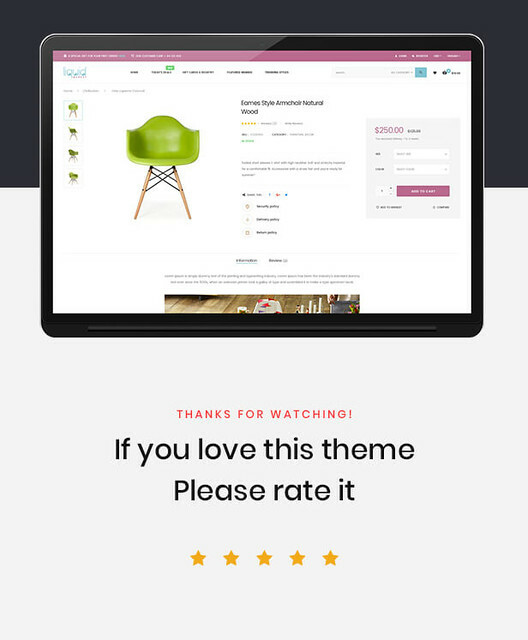 Moreover, Leo Liquid supports 7+ product detail page layouts, which gives you more power to present your product’s description in the most effective and visual way to your clients. Each homepage is the perfect integration of powerful Prestashop modules like Leo Feature with Preview, Add to Cart, Add to Wishlist, Add to Compare; Leo Slideshow allows you to showcase images or videos of hot trend products or items, special promotion events to attract your potential clients; Leo mega menu permits you to adding text, images, categories or subcategories to maximize your website’s functionality, leading your client to their wanted items quickly. Especially, with Leo Product Search module, you can search items by categories in the searching box to save time. Furthermore, thanks to Leo Quicklogin, your client can login via social account like Facebook, Google, Twitter. What is more, Leo Liquid for Hi-tech store integrated with Leo Blog module to leave place for you to post the latest articles right at the homepage, so you don’t need a solution from a third party but still SEO better. 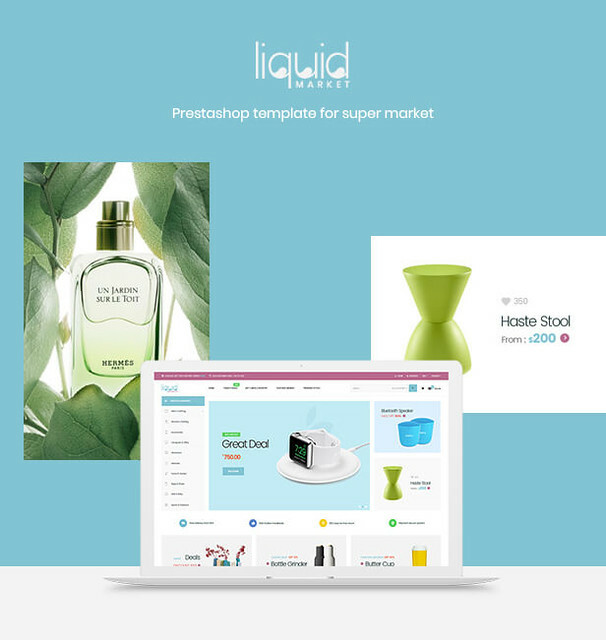 Leo Liquid multi purpose Prestashop theme is built with the latest technology but easy to customize and install. You can control your site with ease in the Admin panel just by some drag & drop manipulations.